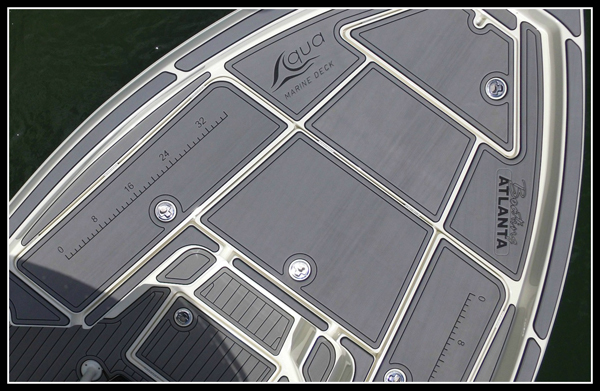 Our Fish Rulers are offered in either 36" or 48" pads and can be used on gunnels and decks. Made from marine grade 6mm closed cell material, the same material as the rest of our products. It is easily installed with the pressure sensitive adhesive backing. The fish ruler comes featured in dot nonskid pattern and our soft teak pattern. UV Protection.